In 2014 The Vancouver Sun released an article (see the end of this post for the link) titled “Vancouver is the most ‘Asian’ city outside Asia. What are the ramifications?” The article mostly focused on Asian populations and demographics in Vancouver, and the increasing rate of Asian immigrants to Canada’s west coast. However the title got me thinking about the general topic of this blog: “Asianness” in Vancouver. One of my missions when creating this blog was to look at why Vancouver has such a strongly Japanese-influenced consumer culture, and I believe a large aspect to that influence is the actual population of Japanese immigrants in Canada. This led me to wonder about a second part of my goal here; to find out how authentic Japanese-based consumerism is in Vancouver, and how it’s changed in a Western market and economy rather than an Asian one. Surely, if Japanese immigrants are the ones who’ve implemented their culture into ours, it should be authentic to their routes. However, that is the mission of this blog, and assumptions should not be made. I will be going straight to the source with this project to explore my inquires about Japanese culture in Vancouver. Which brings me to a popular topic: the Japanese dollar store phenomenon. Yesterday as I was eating lunch with my girlfriend she casually said “I could really go for a Daiso run right now.” I heartily agreed. What is it about Daiso, Richmond’s very own Japanese super-store that makes us want to spend everything we have? 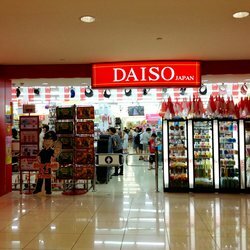 Daiso is a Japanese dollar store that markets themselves (at least in Canada) as selling quirky and unique Japanese products and knick-knacks for unbelievably affordable prices. What’s not to love? Although Daiso is not a Vancouver-exclusive company, with locations all over Asia and down North America’s west coast, Vancouver is the only city in Canada which hosts a Daiso store, as well as being Daiso’s first North-American location. 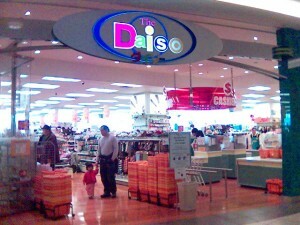 Vancouver’s close ties to Daiso render its own website, http://www.daisocanada.com/, separate from the general website of its other various locations at http://www.daisojapan.com/. To examine the authenticity of Vancouver’s location versus the original Daiso brand, I took a look at both websites. 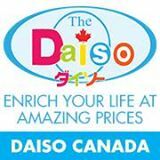 It’s also notable that while the Daiso Japan site has more Japanese words, phrases and writing on it, the Canadian site’s logo includes the word ‘Daiso’ in Japanese. Perhaps this is to create a sense of authenticity. To conclude my findings, although there are differences between Daiso in Vancouver / Richmond and Daiso in Asia, the discrepancies are minor. However, it’s worth mentioning the fact that as opposed to becoming more ‘westernized’ in it’s Vancouver location, Daiso opted to use it’s Japanese culture as a selling point to Canadian consumers. This is interesting in relation to the article I mentioned earlier. Perhaps Daiso attempt to cater to the large groups of Japanese and other Asian routes in Vancouver, providing a sense of authenticity and heritage. Or perhaps it caters to a different group, one more focused on the culture as a trend. Regardless, Daiso seems to be a booming business in Vancouver despite their single Canadian location, and it’s mission to sell authentic and cheap Japanese products appears to be very successful as part of Vancouver’s consumer culture. Wow, I’d never thought about Daiso’s foreign store localization like that! What a great article. 🙂 Thanks!